April 1915 saw Southwold's first air raid. 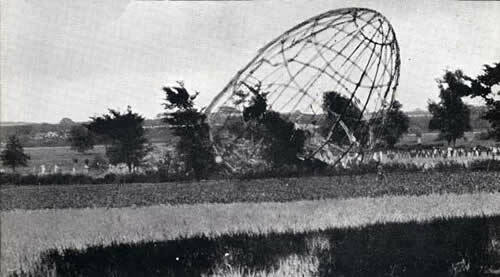 A Zeppelin, the L6, passed over the town shortly before midnight and followed the little railway line to Halesworth before turning around. 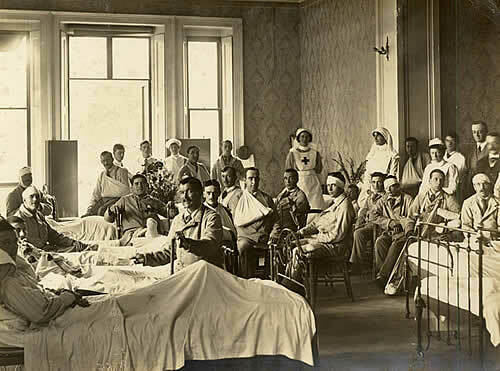 It dropped bombs and incendiaries at Henham Hall – occupied by war wounded looked after by the Southwold Red Cross – then dropped more bombs at Reydon. One incendiary fell on the railway station, landing in a coal truck. With Zeppelins passing over the town, posters were put up warning of daylight raids. When one was seen, church bells would ‘jangle’ for a short time, warning people to take cover. A bell tolled the all-clear. At night the gas supply was cut off. 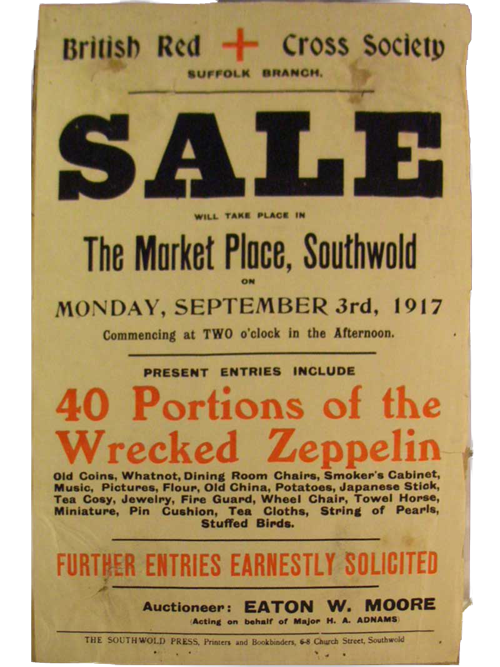 After the Zeppelin was brought down in flames at Theberton, pieces of the aluminium body were sawn off and auctioned to raise money for the local Red Cross branch. One of these is preserved in Southwold Museum. See below.